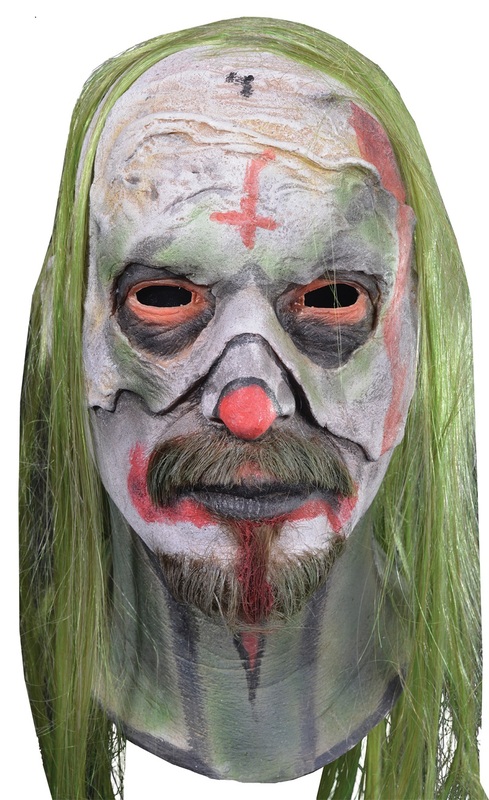 A sinister-looking mask of one of the intense characters from Rob Zombies new movie 31. Based on behind the scene shots, provided by Rob Zombie, the incredibly talented Connor Deless sculpted every detail that is seen in the movie mask. Individually hand painted for the best look possible. One size fits most adults. Full over-the-head mask with attached hair.